For 70+ years Crescent Industries, has been providing the most comprehensive solutions in custom injection molding to a wide range of industries and product applications. With our tonnage range of 35 tons to 385 tons and also offering vertical injection molding capabilities, we have strategically invested to provide our customers with solutions to their supply chain issues. 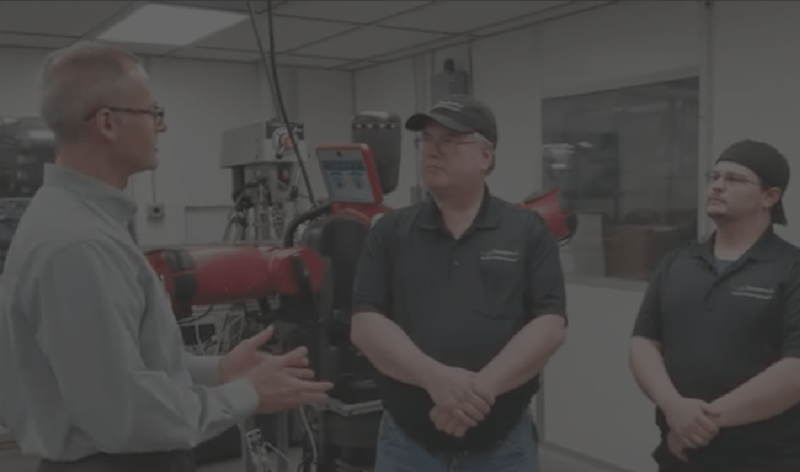 Whether it’s a simple product design or a complex assembly using our internal robotics and hand-assembly, we have the capabilities to fit your requirements and your supply chain expectations. Utilizing our Scientific Injection Molding Principles, SPC and state-of-the-art Injection Molding Machines, our focus is to provide our customers with a robust process to produce the highest level of quality for our components and devices. This begins in the early stages in our Design For Manufacturability (DFM), through our qualification and Decoupled Molding process and optimized using our in-process inspection criteria with high-end measurement equipment. With our continued investments into engineering resources, our team has the expertise and technical knowledge to assist with your products across various stages and complexity. We love to get involved in the earliest stages of product development to make sure that our customers have the plastic engineering expertise avoiding any costly hiccups in the development process. We work directly with our customers engineering teams providing guidance on the manufacturability of parts ready to be custom injection molded or to create a mold design with the proper actions, gate locations, temperature control and venting. By utilizing Sigma Soft mold fill simulation software we complete a 3D simulation of how the mold fills, packs and cools during the injection molding process is generated as part of our DFM analysis process. Therefore, problems or concerns can be solved before the parts or mold are even produced. We specialize in building new tooling along with comprehensive maintenance, repairs, and revisions of existing tools. Our journeymen mold builders produce injection molds that provide cavity-to-cavity consistency and repeatability by utilizing high-speed CNC mills, die-sink EDM, and wire-sink EDM. Our capabilities extend from single cavity open and close tools to complex 96 cavity tools with multiple actions, always following the SPI 101-103 mold classifications. Our cost-saving solutions for new tooling projects provides a competitive advantage over suppliers that don’t have in-house tooling capabilities. MUD (Master Unit Die): The choice when a “dedicated or stand alone” mold base is not required. The part, runner and gate geometry are cut into standardized inserts that fit into the frame. Insert Molding reduces assembly and labor costs, reduces the size and weight of the part, improves component reliability and delivers improved part strength and structure with enhanced design flexibility by incorporating metal and plastics or multiple combinations of materials and components into a single part. The process makes use of engineering plastics for improved wear resistance, tensile strength and weight reduction as well as using metallic materials for strength and conductivity. Inserts can be molded into a diverse range of critical plastic components. These components can be used in housings, instruments, knobs and electrical components. Which can be utilized in the medical, defense, aerospace, electronics/electrical, industrial and consumer markets.